=> Hosts can now offer a button for their users to update PHP. => The recommended PHP version used by the “Update PHP” notice can now be filtered. => Several minor bug fixes. WARNING: The upgrade process will affect all files and folders included in the main WordPress installation. This includes all the core files used to run WordPress. If you have made any changes to those files, your changes will be lost. Doing a quick double-check with theme and plugin developers *before* updating to see if they have any concerns or comments about your theme and the new version is wise. 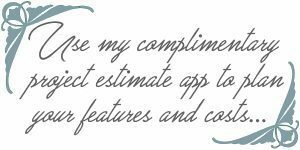 If you are using quality a theme and plugins the developer(s) will be on top of this. To help you safely and easily update to the most recent version of WordPress. Save your WordPress XML file to your hard drive. You do this by clicking on the Tools icon in the left sidebar and then Export. On the next screen click on Download Export File. You might want to create a new Folder on your hard drive where you keep all your Website files. Name it WP Backup so you know to save all backup files for WP there (and you’ll know where to find them if you need them). It is a good idea to back up this file once a month anyway regardless if an update is needed. Backup your WordPress database. 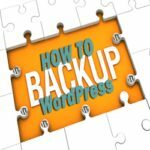 If you are on a Managed WordPress Hosting platform, go to your hosting Dashboard and create a backup-point there. On most WordPress Managed hosts you can create a “backup-point” in your hosting dashboard which backs up your site at that moment in time. If you are on shared hosting, there is a nifty plugin that makes this process a no-brainer, UpdraftPlus WordPress Backup Plugin. This plugin is also a must have for repairing and optimizing your database (which you should be doing minimally monthly to keep things running smoothly). FTP into your Web hosting server and download a copy of your database backup so you have a copy off your server. That backup won’t do you any good if the server crashes or has issues. Even better, store the backup file in the cloud or on an external drive in case you have computer problems. Cover all the bases and download your theme/framework/child theme folders to your local hard drive. This is just good practice if you have customized any theme files. Then, to be safe, deactivate all plugins before upgrading. Not comfortable backing up everything and updating yourself? 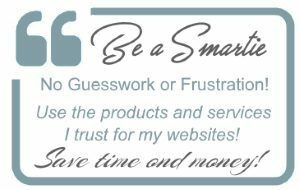 Subscribe to my WordPress White Glove Support Service and I’ll handle everything for you with the bonus of extra coaching and business intelligence you can use to grow your site! Updating should not be ignored or put off. When you keep up with WordPress, have a Premium Theme and Plugin updates, you are not only keeping up with technology, but you make sure your site is secure and functioning error free.